Do you have a stand-alone copy of this that works in Cocos2DX? No, but there is an old Cocos2D (not X) version here: https://github.com/slembcke/CausticCavern.spritebuilder/tree/softshadows I have no idea how hard it would be to port to Cocos2DX as I have not used Cocos2D in several years. Lights seem to clip no matter what I do? I think someone had a similar problem further up but they weren't replied to. Hey! I checked out the new feature about the boxcolliders. Feels like I'm asking for too much, but could you add it to Tilemap Colliders aswell? And make it work with Composite Collider? Also, the shadow "box" seems to be bigger than the actual object/sprite. Besides that, I must say that this is one of the best assets in Unity. I have a big problem when I try to copy multiple paths from a polygon collider. In the scene view, everything is fine, all paths are being copied and all shadows are correct. Sorry I have another question, is there a setting that a sprite does not cast a shadow on itself? Sometimes it looks super weird and I'd like to disable that. Will have to see about that. The tilemap APIs are still changing pretty fast from version to version and a version or two ago there wasn't enough information available to actually build the outline. Thanks. I know SFSS is far from perfect, but we try to make nice things. Unfortunately no. SFSS works strictly in 2D space. All of the shadows are blended together, and there is no way to separate them, and no depth information for individual shadows. A good alternative is to use the "unshadowed" material so an object receives light, but not shadows. Not quite what you want, but usually looks quite nice. Can you make a small replication project and PM it to me? I've never run into issues like that before. This is the same issue as from your previous question. There is no depth information available in the shadow map to filter out just one of the shadows. For convex objects, you can turn them inside out. For concave objects, using the unshadowed material is an option. I've been using the SFS plugin for a few months now and I'm afraid I might have ran into a deal breaker issue. Our game contains several pieces of furniture at the screen at any time, each of these are divided into at least front and top sprites, and to achieve a good effect we NEED one SFSample for every one of these sprites. My problem is that each of the Sprites with SFSamples seem to be creating a batch of their own. I assume it's because it is altering it's material on the Start(), so creating a new instance of the material and a batch in the process. It's certainly not impossible, I just remember running into a number of Unity constraints that I couldn't find a workaround for. When two shadows overlap the result is a dark black. Can it be avoided? It looks like you are using semi-transparent shadows, in which case it's working as intended? Each object would block a little bit more of the light. If you just want to soften the shadows on the background layer, edit it's material and change the shadowed/unshadowed mix. Yes, you are right. I can reduce de shadow opacity of the boxes to less than 0.5. Thanks. 0.5 + 0.5 = full black. Also It would be nice to control how the opacities are added. Like: (0.8 + 0.8) * factor = 0.9. I think the result could be more realistic. Hey there! Really unspecific bug here, so you may not be able to help but I figured it's worth a shot. Perhaps you could even provide a few suggestions as to possible causes that I could look into. Currently working on a game where you move between various different rooms, fighting enemies as you go. 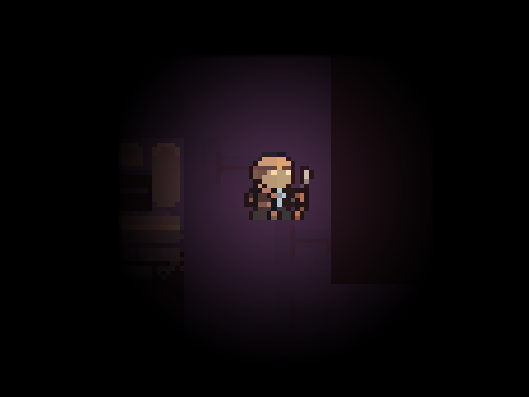 The player character has a SF light under them. In the FIRST room of the level, the light flickers on and off as you move to certain areas of the room, for no apparent reason. It looks like it might be getting culled by something? In all other rooms the light remains on consistently. 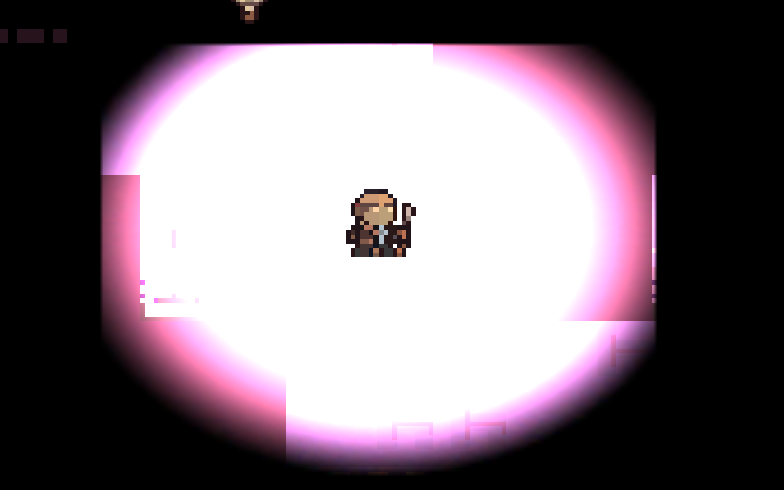 If I exit and re-enter the first room the light works just fine, as if the issue had never existed. It's probably something specific to my game, but I was wondering if there were any known issues that might be causing it? e.g. does it sometimes get angry when objects change layer? Hello. Our upcoming game, Void Mine, is made using SFShadows. The ambience improve a lot with dynamic shadows. Thanks. and very recently I've bought your plugin since I read on the forum what it supports sunlight like effect, but I can't find the way to setup the height(aka length) of the shadows. So, my questions is - how could I achieve it? Today I was trying to do the same things as in example of Directional light and increase the radius of light, but it doesn't work for me because I use sprites with pixel per unit = 1(don't ask why, but I have no choice) which make my scene bigger and at the same time break your algorithm. Is there anyway of changing the Z depth in which the shadows are drawn? RenderTexture.Create failed: format unsupported - BGR5A1 UNorm (6). ArgumentException: Graphics.SetRenderTarget called with bad depth RenderBuffer.